The parents of my great grandfather, Johann August Fredrick, were a brick wall for the past five years. 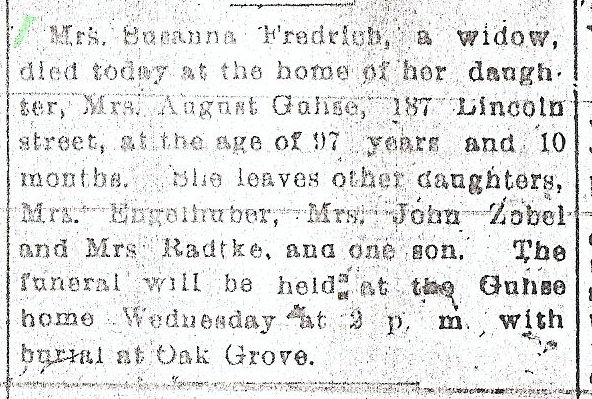 So, it is exciting to be able to share what I know about his mother, Susanna Koenig Fredrich. It was three days after Christmas in a small town in the province of Posen, Prussia when Susanna Koenig was born on the 28 December 1808. She was born near what is now Schubin and Bromberg, Poland. This was during a period of unrest with the Holy Roman Empire of the German Nation being dissolved during the Napoleonic Wars, two years prior. This was a time of upheaval throughout Europe. The Kingdom of Prussia was a large piece of the new German empire. While Napoleon was in charge he abolished serfdom. During serfdom, it was the nobility's role to protect; the clergy's role to pray; and everyone else worked. Susanna's family would have been workers. These changes were only in effect as long as Napoleon was in power. Most of his changes were reversed upon his defeat. Serfdom was brought back to many areas. I imagine Susanna's family was impacted by these changes during her early years. Susanna and Christoph were married until Christoph's death in 1861. She never remarried. Four of Susanna's children, Henriette, Amalia, J. August, and Ottilie, immigrated to Manistee, Michigan, United States, as did Susanna. J. August was the first, coming in the early 1870's. He was one of the early settlers of the area. Her daughter, Henriette, who was married to John Zobel, immigrated in April of 1872. 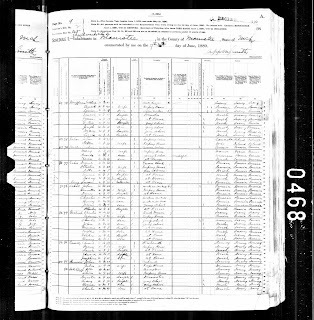 Source: Susanna Fredrich; Scandinavian passenger manifest, 21 October 1872, p107; in Canadian Passenger Lists, 1865-1935; C-4511 to C-4542 (Ottawa, Ontario, Canada: Library and Archives Canada), Roll C-4527. 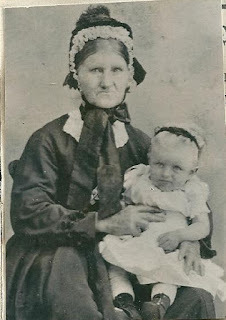 Susanna and her daughters, Amalia and Ottilie, arrived in Quebec, Canada on 21 October 1872. Susanna was 63 years old at the time. They travelled on the ship, Scandinavian. They left Liverpool England; Londonderry, Ireland and traveled to Quebec, Canada. The destination to which passengers were ticketed was Manistee, Michigan. A study of German emigration shows that political conditions plus, the government encouraging emigration during this time were main factors why people left for America. The first census Susanna is found in is the 1880 U. S. Census for Manistee, Michigan. She is listed as Susanna King. Koenig is King in English. She is living with her daughter, Ottilie Guhse, and family. On the same page is her other daughter, Henriette Zobel. She is still living with the Guhse family in the 1900 Census for Manistee, Michigan. She is 91 years old and can not read, write or speak English. Susanna was in the United States for 28 years and never learned to speak English. Source: Manistee Daily News, (Manistee, Michigan), 4 November 1906, microfilm owned by Manistee Public Library, Manistee, Michigan..
Eva May Watt is the fifth of eight children born to David Watt and Catherine McGee, my paternal great grandparents. She was born June 1889 in Marquette, Marquette, Michigan, United States. She never married. She died 21 January 1921, at the age of 31, in Marquette, Marquette, Michigan, United States. I don't know which I am more excited about, researching at Allen County Public Library or the Spring Midwest Geneabloggers Meet-up. First, I need to thank Tina Lyons of Gen Wish List and Terri O'Connell of Finding Our Ancestors fame for organizing everything needed to make this possible. I am looking forward to meeting new geneabloggers from the midwest area. Fort Wayne, Indiana is an easy drive from Battle Creek, Michigan, my hometown. One of about 100 miles . I plan to drive down and back in one day. I have done it many times in order to research at the library. I spent the last couple of weeks trying to prioritize what I hope to accomplish while there. My past visits have been ones where I have tried to research many ancestors from different places. This time I am narrowing my research down to three or four research plans. I will tuck a list of additional references in my bag on the off chance I strike genealogical gold with my other plans and finish early. (A girl can dream, right?) My problem is I go to the library with my list of references in hand and get absorbed in everything that is on the same shelf as the resource I am looking for. I don't know how many times I have said, "Oooh, that looks good!" One of the priorities of this visit will be looking up resources pertaining to Miami County, Indiana and my Graf family. Then, I plan to move on to Vermont and my Powers line. If time, I would like to check out "Amish and Amish Mennonite Genealogies" by Hugh Gingerich. I look at this book everytime I go and I still have more clues to glean from it. I should probably buy it, if I can find it. It is out of print, now. After a great day of research, the midwest geneabloggers will be meeting for fun, food, and foto's (hopefully!) I checked the facebook page of who is going and was pleased to see a few geneabloggers I met in Springfield will be there. Plus, lots of new faces. If you don't hear from me in a day or two, you will know I had so much fun I needed to recover from it. My husband and I are celebrating our 31st anniversary today. It is always fun to reminisce about the important events in our married life. Today, I am reminiscing about the proposal. Kirk asked me to marry him on Saturday, September 13, 1980. 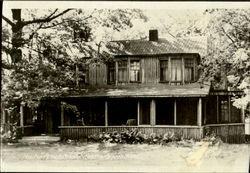 We had been out to dinner that night and went back to his apartment on Lake Huron in Richmondville, Michigan. We were listening to the music of Linda Ronstadt and The Muppet Movie, which were our favorites. Kirk said something to the effect of what would you think about getting married? I asked, "Are you proposing to me?" He said, "Yes" and I said, "Yes". I was thrilled. I was thankful he didn't make a public display of proposing as I am shy about that type of thing. My engagement ring diamond belonged to his grandmother, Leona Corcoran, and needed to be reset. Kirk had it reset into a beautiful white gold solitaire setting. I received the ring on Friday, October 10, 1980. As they say the rest is history! We were married in March of 1981. Would I marry him all over again? You bet ya! Happy Anniversary, Honey. Source: Glover Jr., Samuel Stillman; Pension File No. 28715, Civil War Pension File, (Washington, D.C.: U.S. National Archives and Records Administration), p70 . 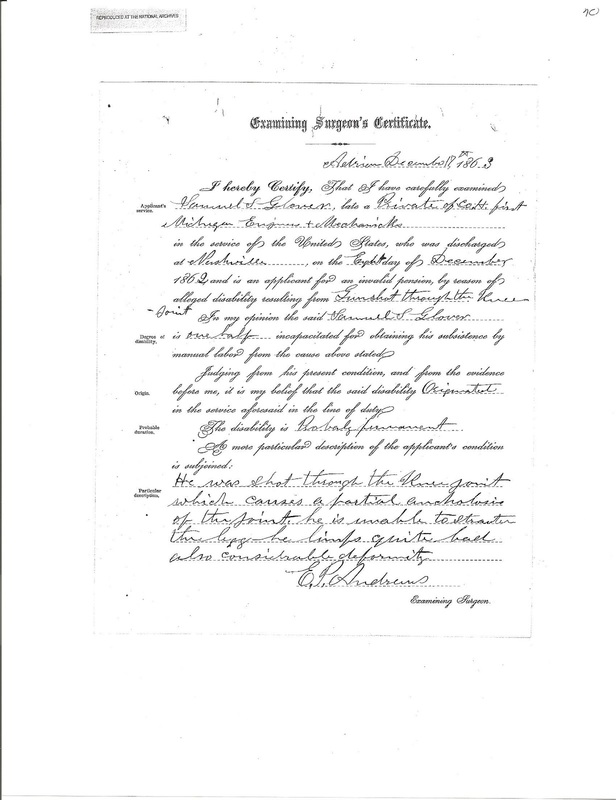 Clicking on the above document will give you a better picture of Samuel Stillman Glover Jr.'s Examining Surgeon's Certificate dated December 17th. 1863. Samuel was discharged on 8th Day of December, 1862, so this would have been written one year after discharge. I think it gives a good description of the effect his gun shot wound had on him one year later. Samuel's civil war pension file has given me a wealth of information. There are many surgeon's reports within his file. I found this one to be most interesting because it is the first one after he returned home from The Civil War. I can only imagine the pain and discomfort this gunshot wound must have caused my 2x great grandfather for the remaining forty years of his life. manual labor from the cause above stated. The clubhouse at the Harbor Beach Resort Association, or the resort as it was called, holds a lot of fun memories for me. I worked here during the summers of 1974 through 1978. The money I made those summers helped pay for my college education. The resort is a private association with individual cottages on the shores of Lake Huron, in Harbor Beach, Michigan. Resorters came from all over the United States. Many of the families had been coming to the resort for years. The clubhouse had a front desk, a dining room, a preschool type room, kitchen, bakery, and apartment like rooms upstairs for staff. I worked at the resort as a waitress and later head waitress. Breakfast, Lunch and Dinner were served Sunday through Saturday, with the exception of Wednesday and Sunday dinner. I would report to work by 7:30 in the morning and finish up by 8:00 at night. We didn't have to work all those hours. We worked the breakfast shift, from about 7:30 to 9:30 am, the lunch shift from about 11:30 to 1:30 and the dinner shift from about 5:30 to 8:00 pm. We had free time in between shifts. We had one day a week off. The waitresses had rooms upstairs that we could hang out in. Two waitresses usually shared a room and there were about ten waitresses in all. A bathroom was available for our use. The time between shifts was spent sleeping, reading, going to the beach, going home for an hour or so, or just socializing with others. I loved my time at the resort. A few years ago the original clubhouse burned down. A new one was built and it is almost an exact replica of the old one. They kept the original feel of the clubhouse with wood shingle siding. When I visited last fall, if I hadn't know about the fire I would have thought that they had just remodelled. One of the best things about working at the resort was the food. Mrs. Beasley and her daughter, Candace, ran the bakery and they made the most delectable treats. I was always begging for recipes. My favorites were Pistachio Cake, Eclairs, Parfait Pie, and Peanut Butter Cookies. Other memories include serving a family of ten and carrying all ten dinners out on a huge tray, taking orders for dinner at lunch, turning the hot fudge ice cream topping on and invariably it burned-the dishwashers threw a few of those pans out into the woods behind the clubhouse, Wednesday the staff could use the pool-I remember playing water polo there, the wood floor would get wet in the kitchen and one night the staff used the waitresses trays as sleds and slid on the floor, and many more I am sure I will think of after I post this. Where in the World is Sarah Watt? My second Where in the World post is for Sarah Lilla Watt, who married Harry Glover. Sarah Lilla Watt Glover is my paternal grandmother. She went by Lilla most of her life. 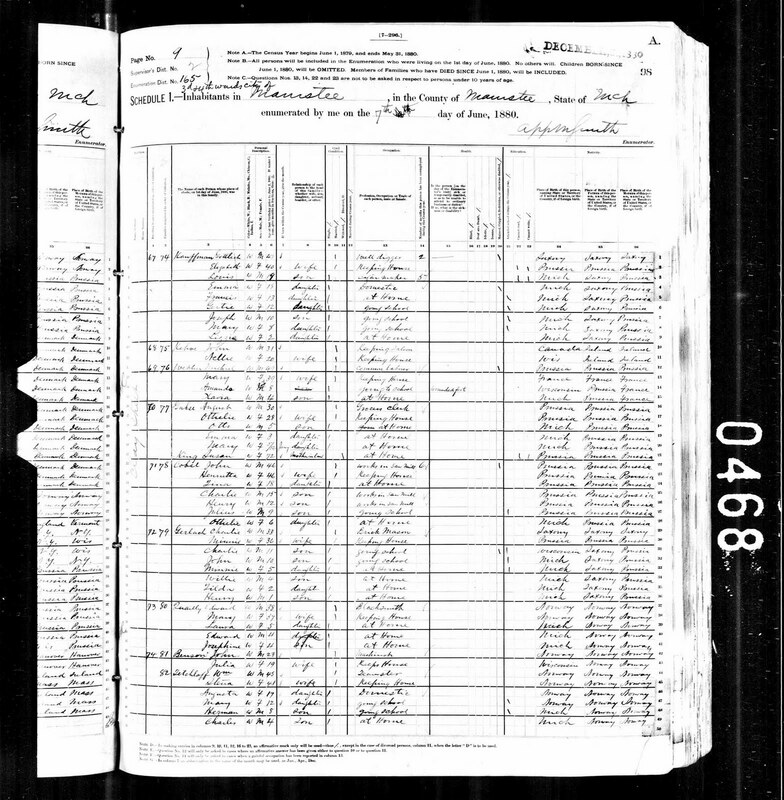 She can be found in the census with the names: Sarah L. Watt, Lilia Watt, Lilla Glover, and Lilla D. Glover. I expect her to be in the 1940 Census in Hazel Park, Oakland, Michigan with her husband, Harry, and son, Bruce. Genealogist's Handbook for New England Research!!!!! I love it when genealogical resources arrive in the mail. All work stops for the day so I can check it out. My latest resource which arrived this morning is a belated Christmas gift from my parents. I ordered this from NEHGS before Thanksgiving! The publishing date was pushed back, but I finally got it and it was like Christmas all over. The "Genealogist's Handbook for New England Research" 5th edition, edited by Michael J. Leclerc and published by New England Historic Genealogical Society is a research guide for those with New England Ancestors. Connecticut, Maine, Massachusetts, New Hampshire, Rhode Island and Vermont are the states covered in this book. 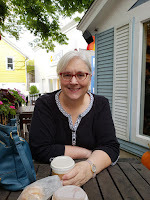 So far, I have ancestors in four of the six states: Connecticut, Massachusetts, New Hampshire, and Vermont. I think my afternoon plans have just changed. The state sections are organized and laid out so it is the same for each state. 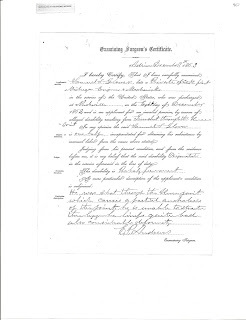 It starts out with general information about the state followed by: vital records, church records, probate records, land records, court records, military records and other records. There are 'staff picks' included in this section. State repositories are listed next with contact information, including url for their website. County information follows with great maps that shows the county seat in bold print, and the towns of that county. A statewide map is included showing the county in relation to the state. Further information is given for each probate and land available resources. Charts for each town provides the reader with information on town name, date incorporated, county, parent town, daughter town, notes, vital records and church records. The parent towns are the towns from which other towns were formed. A separate chart shows extinct towns, the notes section of this chart provides additional information. The first edition of this handbook was published in 1980. The fact that a fifth edition was published shows the lasting effect of this book. This is my first look at any of the editions and I wasn't disappointed. The soft cover book is organized well, has margin tabs to find sections of the book easier. There is a section on general New England research that starts with Great Migration era research and continues with New England records, genealogical journals, repositories and genealogical societies. This 418 page book is a handbook of resources available to help you with your research. It is not a book on how to do New England research. Illustrations and historical pictures are found throughout this book. If you have New England ancestors then this is a book every genealogist will want on their shelf. Enjoy, I know I will. Today we celebrate two birthdays in our family. My mother, Audrey, is celebrating her 82nd birthday today. My son-in-law, Chase, is celebrating a birthday also. I hope they both have a marvelous day. They deserve it. The cooked filling for date swirls. Cooling and waiting to be eaten. One of my favorite home baked cookies is Date Swirls. I remember my mother making these. My favorite memory of my making them is the day my daughter, Kirsten, was born. I had put the cookies in the refrigerator the night before. I went into labor about 4:30 a.m the next morning and I had to bake my cookies before I went to the hospital! So, I baked them. My husband couldn't believe it as my contractions were five minutes apart. No worries, I didn't deliver Kirsten until about 10 hours later. They are great eaten while they are still warm. MMMMMM! Enjoy! Cook together five minutes. Remove from heat and add 1/2c. chopped nuts. Let cool. Detroit Zoo in Royal Oak, Michigan. I love the hat. 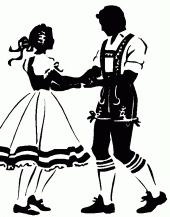 I have been doing the German Happy Dance, minus the drindl, since six a.m. this morning. I woke up early and wasn't able to get back to sleep so I decided to check my email and boy am I glad I did! I had three emails from a Fredrich researcher! A new 'cousin', Michael, found me through my blog. He was researching his Fredrich family who had immigrated to Manistee, Michigan. My Fredrick family from Manistee, Michigan is one of my brickwalls. I wrote, "Researching Sisters Leads Me to Finding Great, Great Grandmother, but that is about as far as I have been able to get with my Fredrick family. 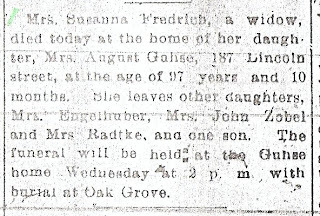 My 2x great grandmother is his 3x great grandmother, Susanna Koenig Fredrich, who I wrote about under the name Susanna King Fredrich. King is Koenig, in German. I will be writing more about what Michael shared with me once I have gone through it, but I thought I would share what I have been doing on this snowy, Saturday afternoon-transcribing two German records and looking on maps for Prussian places. How I Spent My Saturday! LaRoussee German Pocket Dictionary-purchased at Barnes and Noble. German Maps & Facts for Genealogy by Wendy K. Uncapher and Linda M. Herrick. 1828 Prussia Map, Michiana History Publications, South Bend, Indiana-purchased at FGS2011 Exhibit Hall. German Research Workbook-Compiled by Tamra Stansfield of Family Search-the workbook sent after FGS2011 for participants in the German Research Workshop at FGS 2011. German English Genealogical Dictionary by Ernest Thode. Family Search Research Outline for Germany by Family Search. Available in pdf format at family search.org. For disclosure sake-I am not nor have I ever been affiliated with any of the authors, companies or organizations of the above references. I purchased them myself and use them for my personal research purposes. Two years ago, today, I started my blog with the thoughts of expanding it to my husband's family. The more I wrote about my family-the more protective I became about my blog. I wasn't ready to write about the Leyndyke side of the family on Journey to the Past yet. It wasn't until Tina Lyons, of Gen Wish List, blogged about starting a new blog for her husband's family, Mr. Gen Wish List, that I started thinking about a second, separate blog. Today is the day! I have launched a second blog, "Journey to His Past" where I will share the stories, pictures, documents and research pertaining to my husband's ancestry. Journey to His Past will explore the origins of the Leyndyke family, including Luijendijk and Luyendyk spellings, and their related families. I hope you will enjoy reading Journey to His Past as much as I have had in planning its' launch. And, thank you Tina for the great idea of a second, separate blog.